● Your little guy will love hunting for Easter eggs with this special basket. 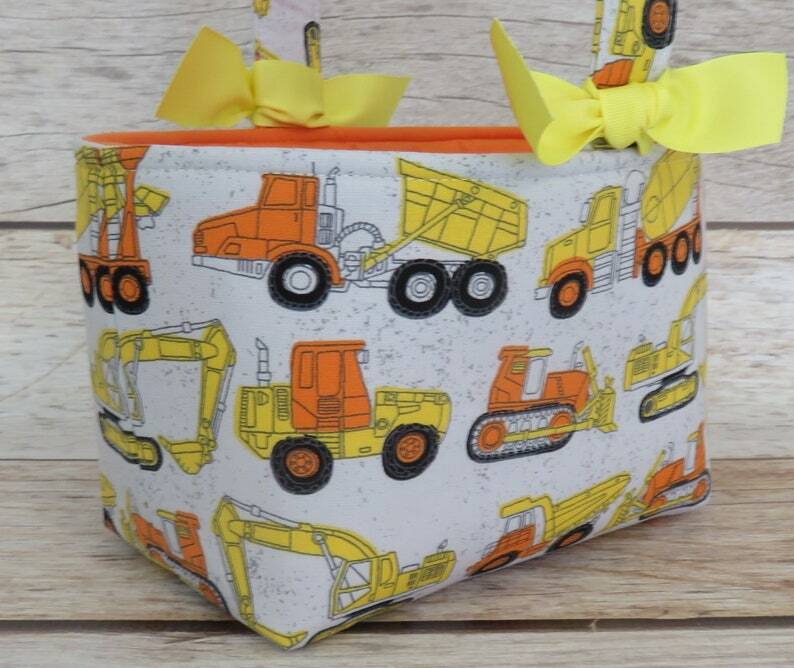 ● Yellow Orange Construction Trucks Fabric. ● Orange fabric for the lining. ● Embellished with grosgrain ribbon bow tie accent. Easily removable if you wish. Ribbon & embellishments can vary slightly from photo.